There are still so many people who refuse to look past the diagnosis. So let's start with the basics. Liam has legs, arms, a body and a head. After all, he is a human being. 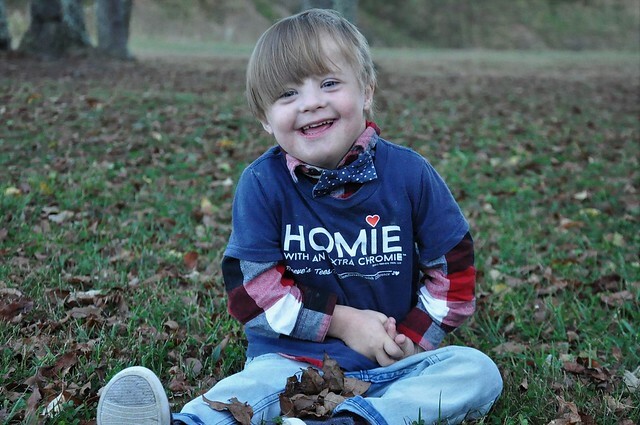 Down syndrome is only a small piece of his genetic makeup. He is a person just like any other, and truly is more alike than different! He has 24 teeth just like most other children his age. They get brushed three times a day (okay, sometimes just twice if I'm going to keep it real), and get cleaned and checked by the dentist twice a year. AND he has an almost perfect bite! Liam's shirt says it all! 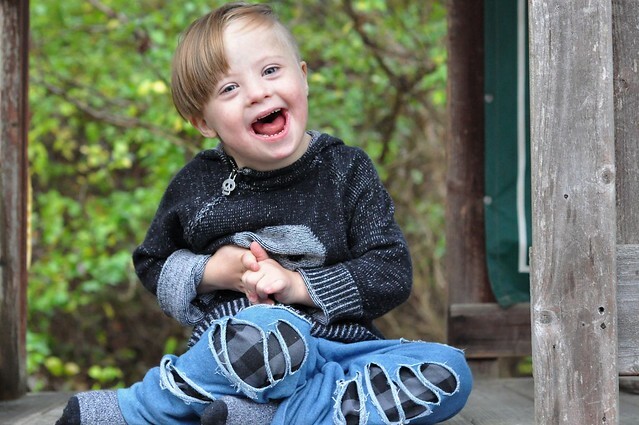 As a parent, I shouldn't have to defend my child's right to exist. He has worth. Dylan has worth. Lexie has worth. Lily has worth. Enough said! 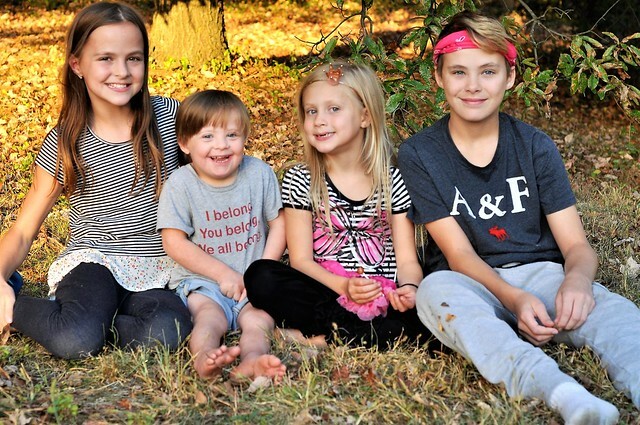 When it comes to raising Liam, we provide him with the same opportunities as Dylan, Lexie and Lily! We don't think in terms of can't and won't. We prefer the terms CAN and WILL. That's right, Liam. The World IS Yours! Liam has awesome social skills. He always scores very high during evaluations, even above average for typically developing kids. He is a social butterfly who loves to connect with others, and he makes friends everywhere we go! When your hair grows ridiculously fast, you need a haircut once a month. And if you're just like other kids your age, you HATE haircuts (followed closely by getting nails clipped)! See...he isn't happy ALL the time! 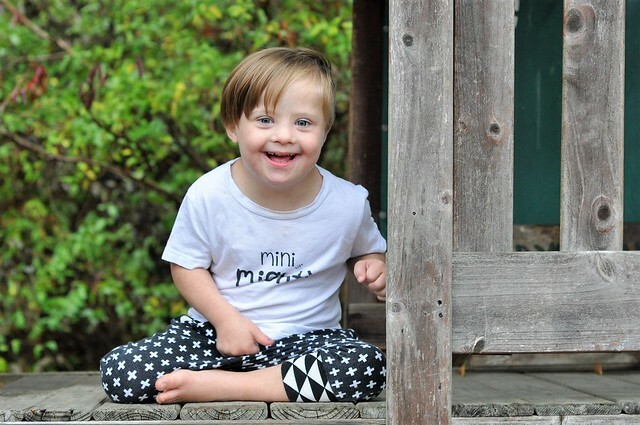 Contrary to popular belief, 80% of babies with Down syndrome are born to women UNDER the age of 35. We are proof of that! My chance of having a child with Ds was 1 in 891. Sometimes it feels like I won the lottery! Approximately 1 in 100 people have Celiac Disease, which is an autoimmune disease that causes damage to the small intestine when gluten is ingested. After some testing following a few weeks of diarrhea that would not stop, we found out on Friday night that Liam does have Celiac Disease. I know I should feel thankful that this is the first health issue we have encountered, and that it can be easily controlled by a gluten-free diet. It's a complete lifestyle change for him, and it is overwhelming, but after some research and reaching out to others, we have a plan. I'm not going to lie though...after a trip to the grocery store for his new food, I'm suffering from some serious sticker shock! So Liam is now part of the steadily increasing number of people who are on a gluten-free diet. Many people have diet restrictions these days, so he is still more alike than different. At least his diet is going to be REALLY healthy! 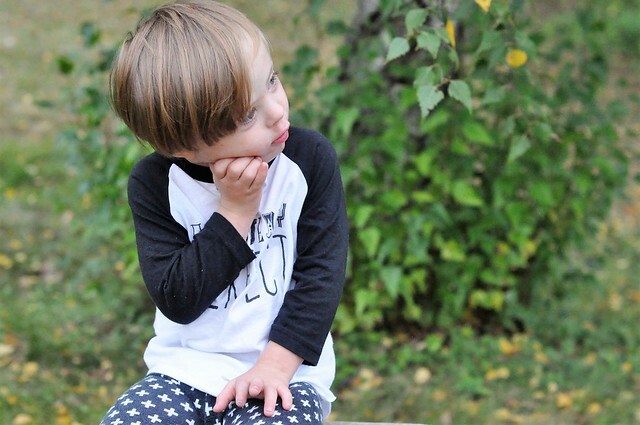 Liam communicates with words, which makes him just like most kids his age. 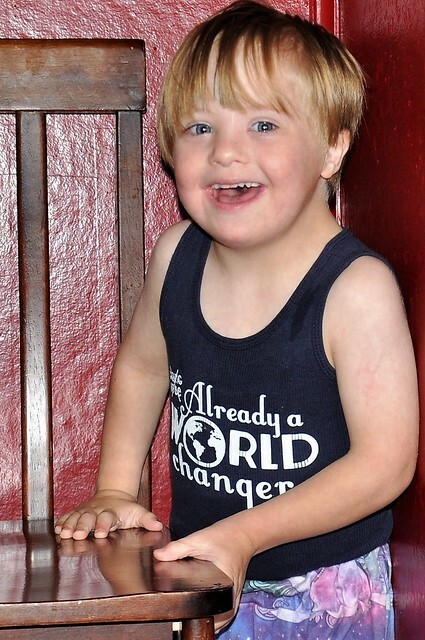 Although his vocabulary isn't as clear or as expansive as his typical peers, he is able to communicate with us. What Liam does that most kids do not do, is communicate with his hands, too! 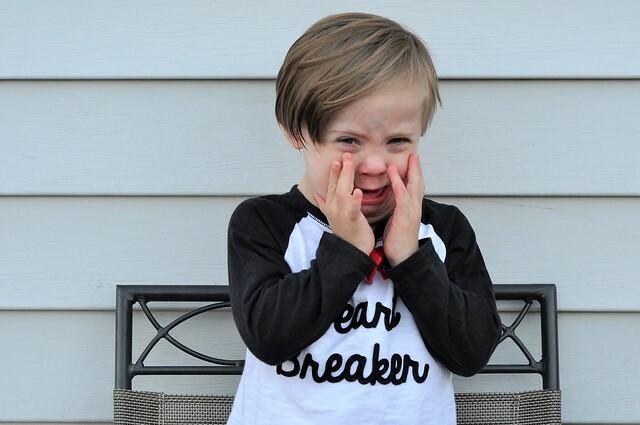 He has been learning sign language since he was 12 months old, and signs in the classroom along with words, due to having a few non-verbal classmates. That means he's actually able to communicate with MORE people! Just like everybody else, Liam goes to the eye doctor once a year for an exam. Those giant pupils are from his yearly appointment today. His healthy eye/perfect vision streak is still going strong! 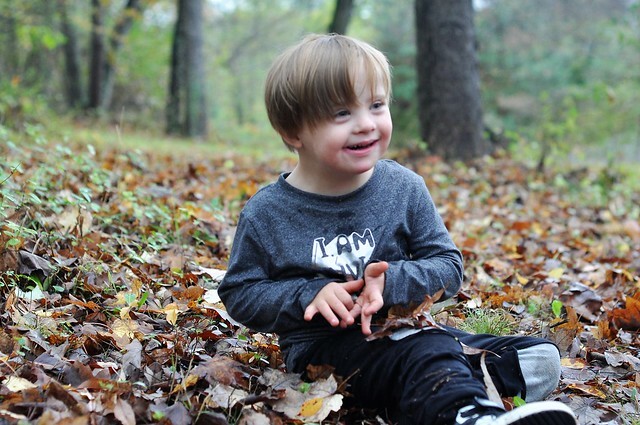 Liam loves to be outside! Rain or shine, he is in his element, and could stay outdoors all day. But just like most people, Liam prefers warm weather, and hates the cold! And I'm not exaggerating... I really do mean HATE. We have been blessed with an unusually warm October, but that's coming to an end next week. This little dude is not going to be pleased when Fall gives way to winter! 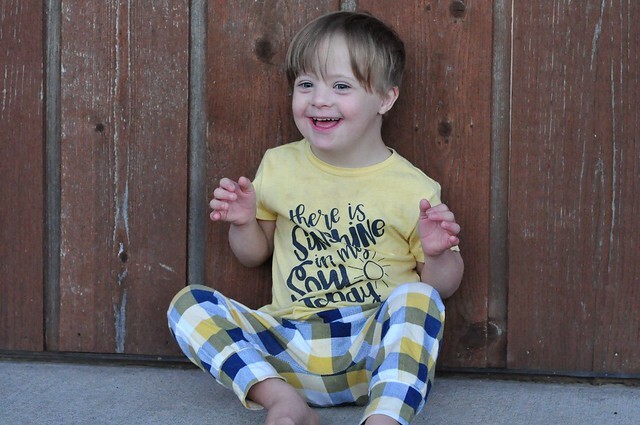 Liam may have Down syndrome, but he lives life like everybody else! He goes everywhere we go and does everything we do. 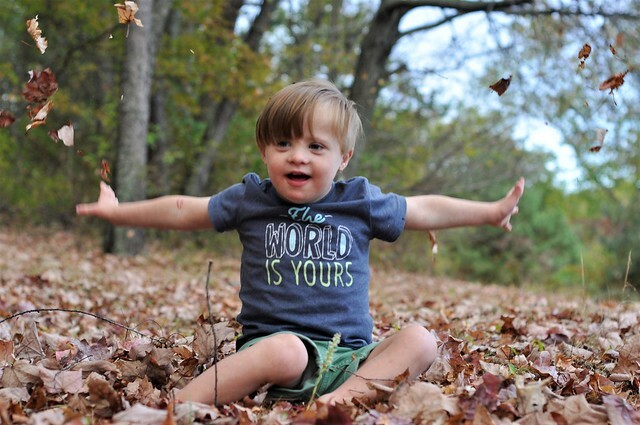 He is out and about in our community each day, spreading joy along the way! 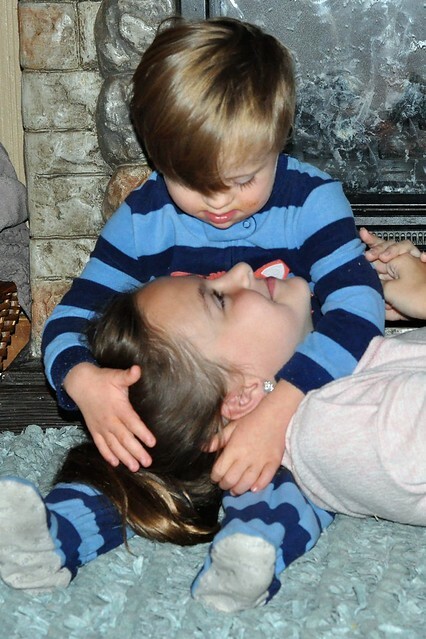 Many people mistakenly believe kids who have Down syndrome are frail. But Liam is a tough kid! He's energetic and completely fearless. He loves to get dirty, run, play, and give me gray hair with his daredevil stunts. He definitely has the bumps and bruises to prove it! Not only that, but he's unusually strong for his age and size. We lovingly refer to him as the tiny hulk! Perhaps he has a future in weightlifting?!? 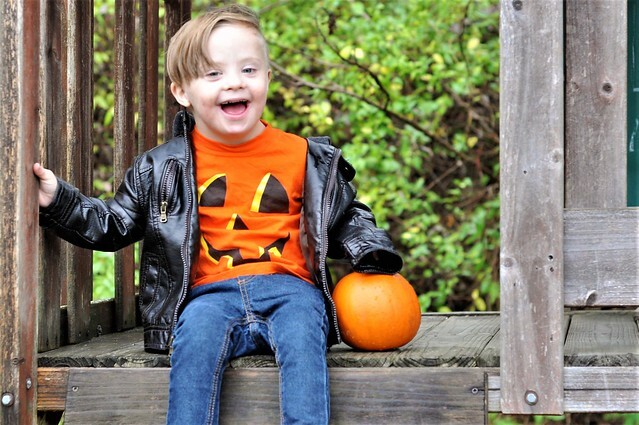 Liam is rocking life at 4 years old! 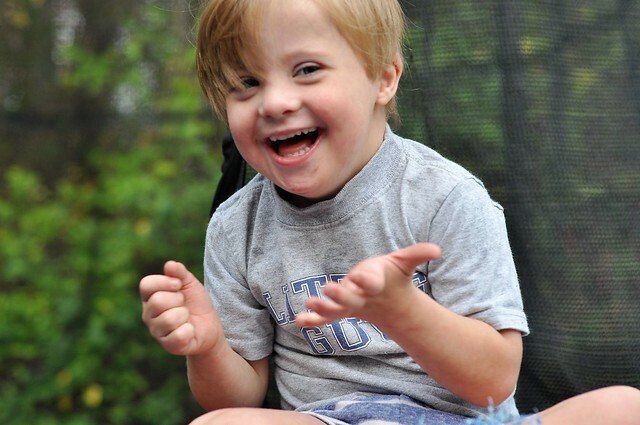 Did you know that the average life expectancy for a person with Down syndrome was only 25 years old in 1983? Currently, it's 60+. I have no doubt that number will continue to rise! 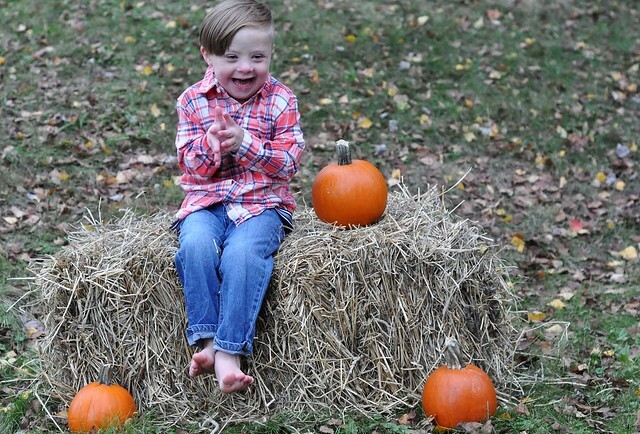 Liam is happy, healthy, and thriving, and he has a team of awesome doctors that make sure he stays that way! Just like everybody else, Liam needs a good night's sleep! He sleeps really well at night, after partying with his brother for a few hours, and takes an hour-long nap most afternoons. He has been a great sleeper from the time he was a newborn! Like most other kids his age, Liam likes to ride bikes! His legs are a bit too short for some models, so he uses his balance bike the most, but one of his current PT goals is pedaling a bike. He will be zooming along in no time! 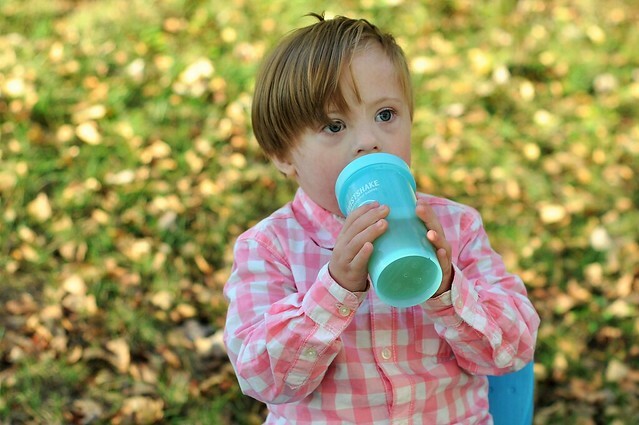 Liam was breastfed until age 2, started solids at the usual age, and has always had a healthy appetite. Feeding problems never arose with him! This is a 4 year old boy. He is not Down's. He is not a Down's kid. And he is definitely not the "r" word. He HAS Down syndrome. And his name is Liam. He is loved very much, and he has worth. All we want is for people to see him for who he is, not what he has! Trust me...he has a lot to offer. Besides...not all superheroes look the same. And my superhero is just an ordinary human being who is a ray of light in this often dark world! In case you were wondering, he isn't happy ALL the time! That less than 1% unhappy time can actually be quite dramatic. Liam is incredibly happy, but just like everybody else, Liam can feel pain and sadness, and his feelings get hurt, too! It's just very rare to see this side of him, so I document it when it happens. And don't worry - he bounces back within seconds! 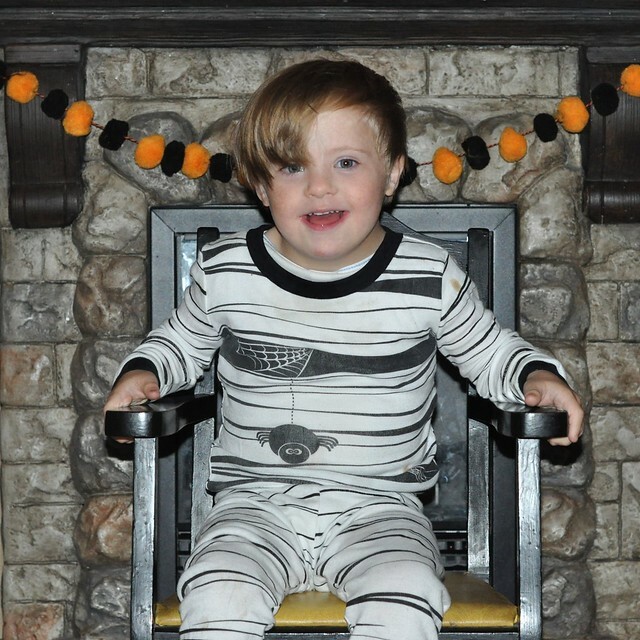 At just 30 lbs and 38 inches, Liam is a little guy! 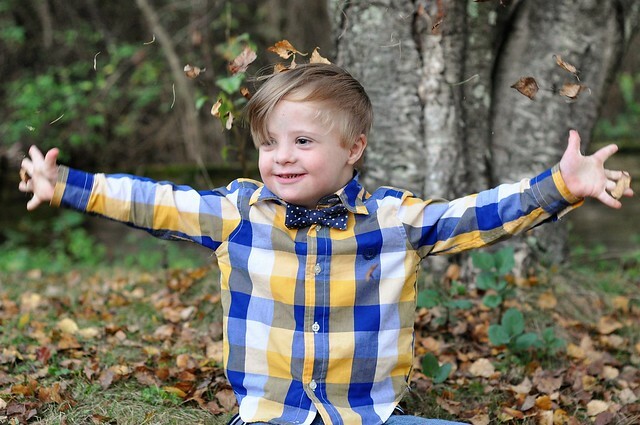 He is very small for a 4 year old, so many people assume he's a toddler, based on his face and his size. 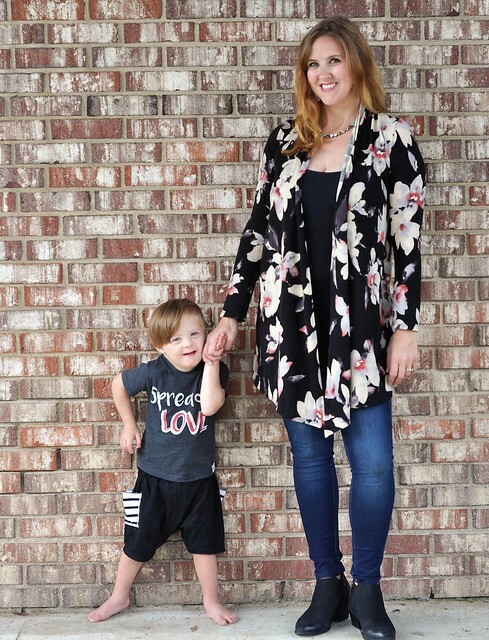 I often have to remind himself that he IS 4 and will most likely be going to Kindergarten next year, so it's easy for those who don't know him to make that mistake. But despite that sweet face and little size, he is very much a 4 year old boy! 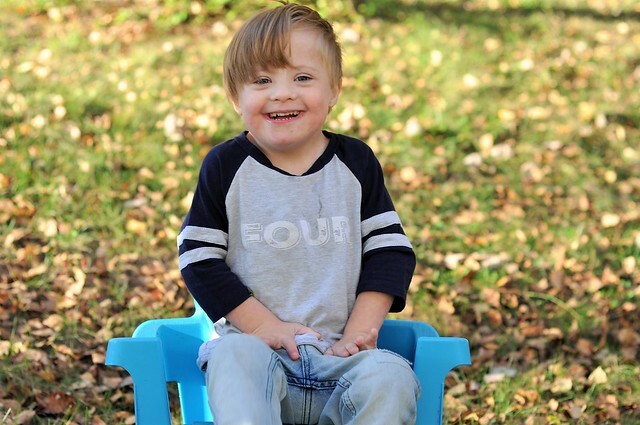 He doesn't want to sit in a booster seat while he eats, he thinks burps and farts are hilarious, he loves to get dirty, making us chase him is the best thing ever, he's an adventurous daredevil, and he loves cars, trucks and trains! 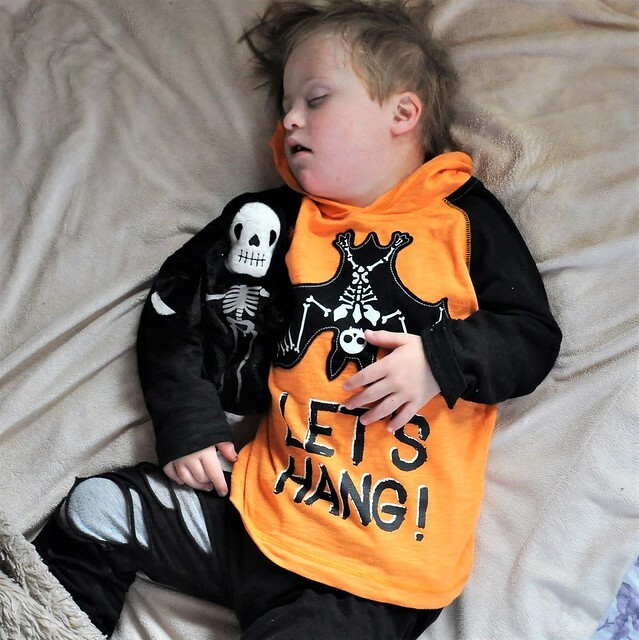 Many people assume that daily life with a child who has special needs is difficult, but the reality is it's actually quite ordinary! 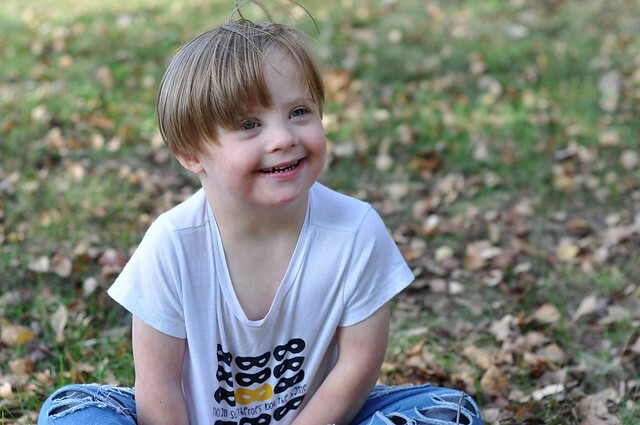 Most days we don't even think about Down syndrome, and often forget Liam even has it! 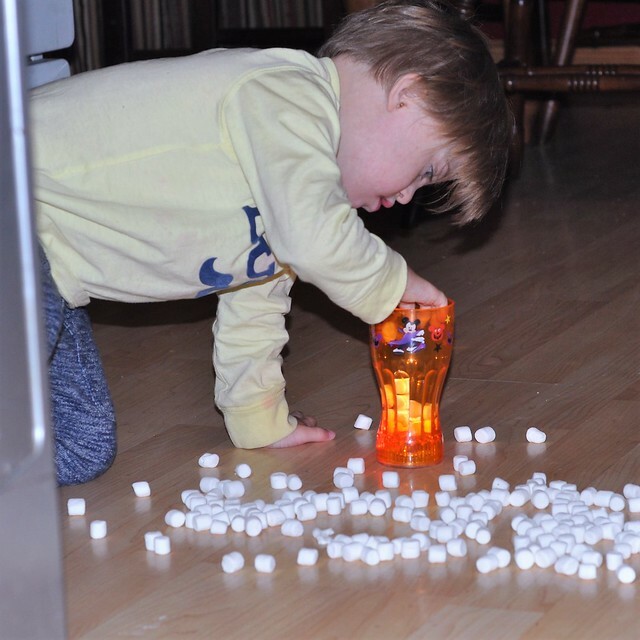 In case you were wondering, Liam excels at getting into things and making messes. He is curious about everything, and can figure anything out! He lives up to his Tiny Tornado nickname...just like many other kids his age! 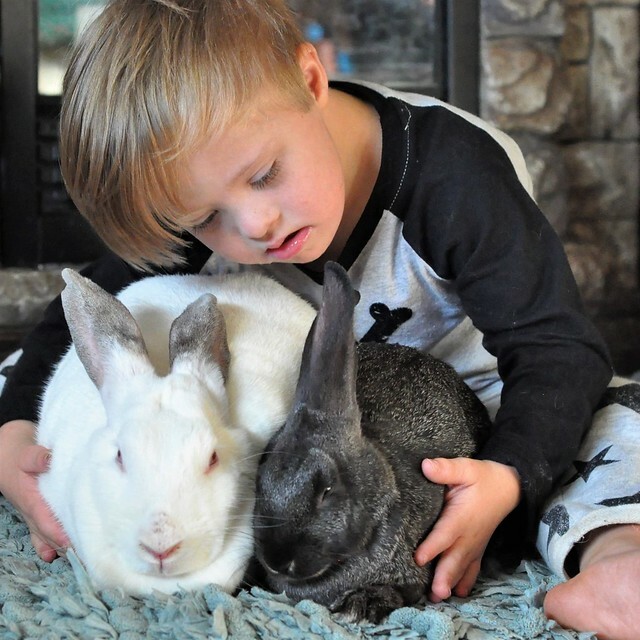 A boy and (two of) his HopHops! (Or babbits!) Liam loves animals, but we still have to remind him to use gentle hands. He has been doing much better lately! Liam radiates joy! I swear, he smiles with his whole body. As long as his basic needs are met and he receives love, attention and affection, he's happy as can be! Liam's favorite song is Happy Birthday. Frequent reenactments occur! Raising kids - ALL kids - is tough! It's not supposed to be easy. 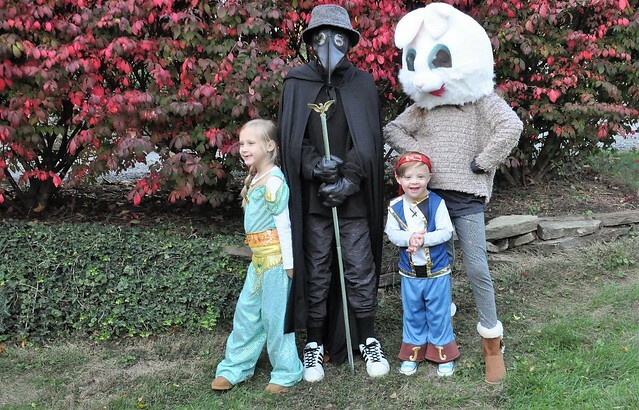 Each one of our 4 kids has strengths and weaknesses unique to them. 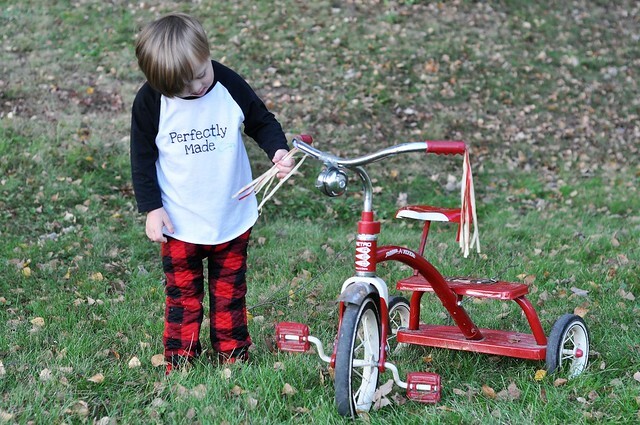 We figure it out, and we make it work, because that's what raising kids is all about! 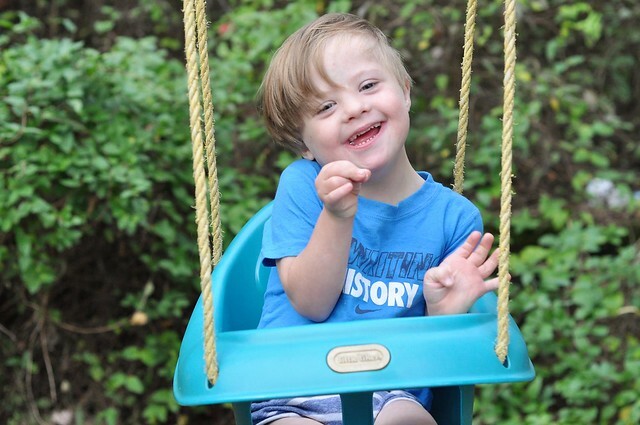 Life is not dismal with a child who has special needs. It's actually quite happy and normal! Liam is one of us, and we love him fiercely! 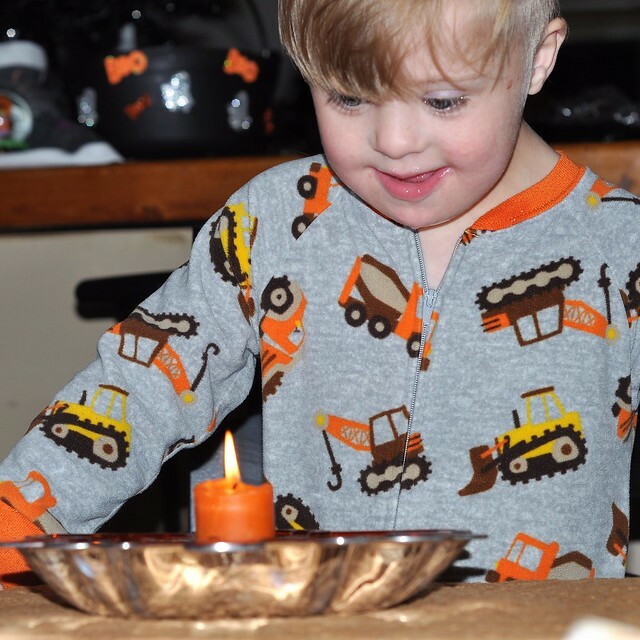 And to end Down syndrome Awareness Month, Liam wants to show you that he's a kid just like any other! The point is, all human beings have unique differences, but we are all essentially the same! 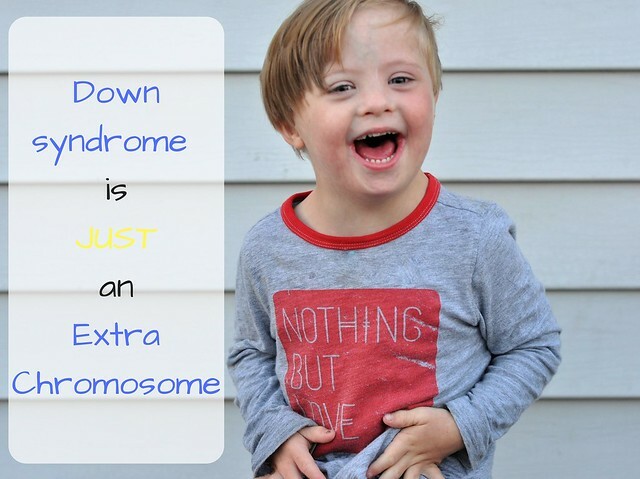 And as for Down syndrome? 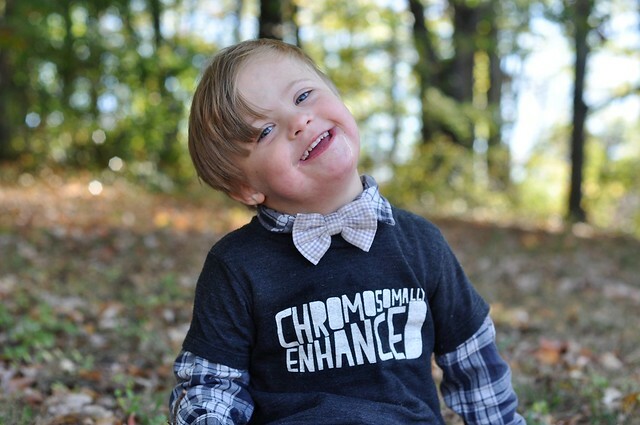 It's JUST an extra chromosome! What a great post! 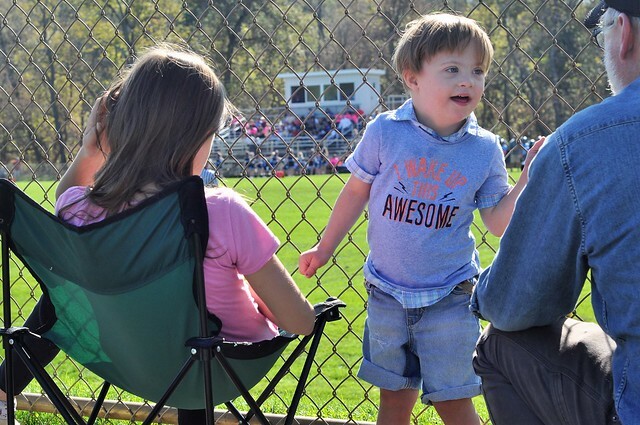 Liam is an amazing kid! Such a sweet update on Liam. I have been wondering how the GF diet is going for y'all. I giggled over him being all boy too. Oh goodness, boys crack me up. Liam is just too adorable! I love all his great shirts, and yay for you mom in making sure that his life is filled with so much joy and positivity. He will do great things because you believe in him, and he will believe in himself. 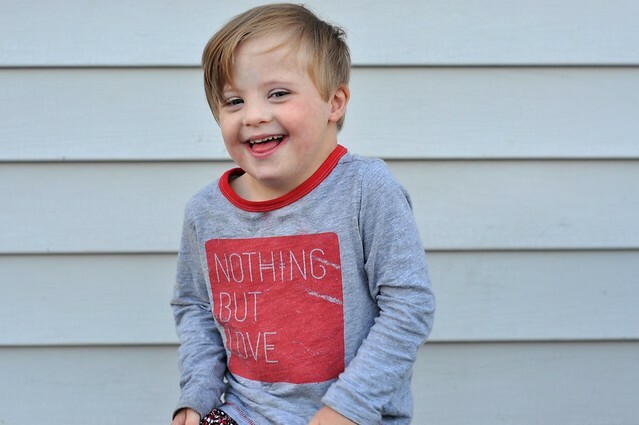 He is "Perfectly Made." I just LOVE this post. This is so beautifully written! You can tell Liam radiates such joy and his smile is infectious. 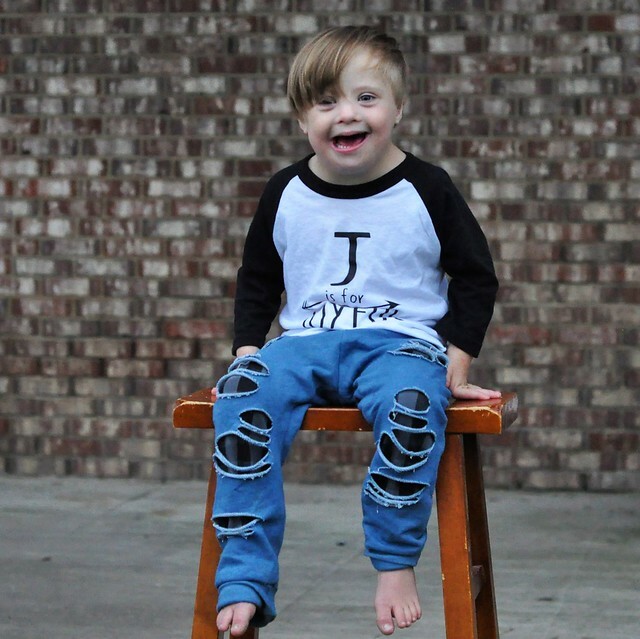 He's totally rockin' those ripped jeans.